Ericka Curlee, co-owner of Louisa’s Movie House, talks about plans to close the DVD- and Blu-ray-rental business, located in Town Plaza, in mid-March. On Tuesday, Curlee said she still holds out hope a buyer can be found for the business in the next month. Louisa’s Movie House, another venerable Durango business hit by the digital age, plans to hold a liquidation sale and close by the end of March unless a “unicorn” buyer materializes in the next month or so. Ericka Curlee, who owns the business with her husband, Don Bendell, emphasized the couple’s sister business Louisa’s Electronics is thriving and will remain. “It’s not going anywhere as long as technology is around,” she said. 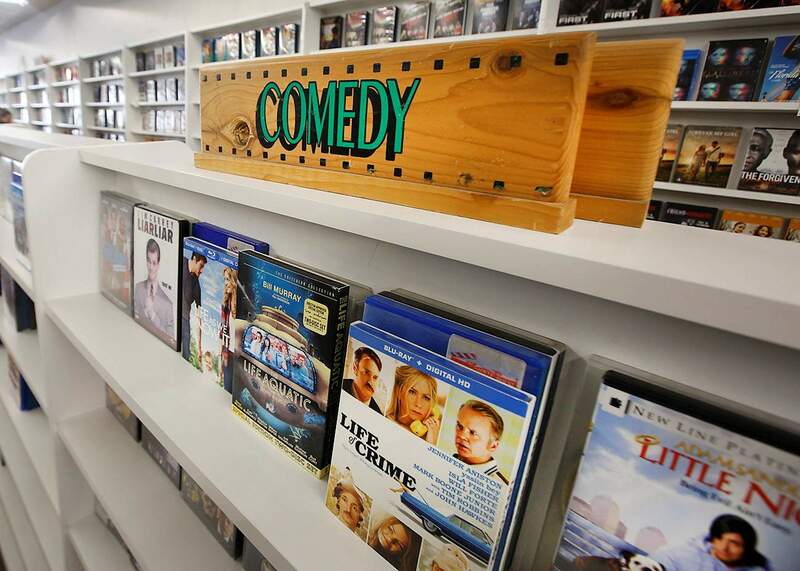 Patrons of Louisa’s Movie House may soon lose their place to rent DVDs. Ericka Curlee and Don Bendell plan to close the store in mid-march unless a buyer for the business is found. The Movie House, 24A Town Plaza, however, is a victim of the fast-changing digital and internet technological scene that is serving as a tailwind to Louisa’s Electronics, 2201 Main Ave.
“People have centered their lives around streaming, and consequently, they don’t rent movies as much,” she said. The business, which opened in November 1999, remains profitable, Curlee said, but she said sales have slipped for several months. She said DVD and Blu-ray rentals inversely track cord-cutting, cable and satellite customers who cancel their service, converting to streaming services such as Hulu, Netflix and YouTube. Through mid-2018, she said, a steady number of people were dropping cable and satellite service, and midyear, the number of people cutting the cord jumped dramatically. She said her rental numbers decreased at rates similar to the increase in people stopping services. 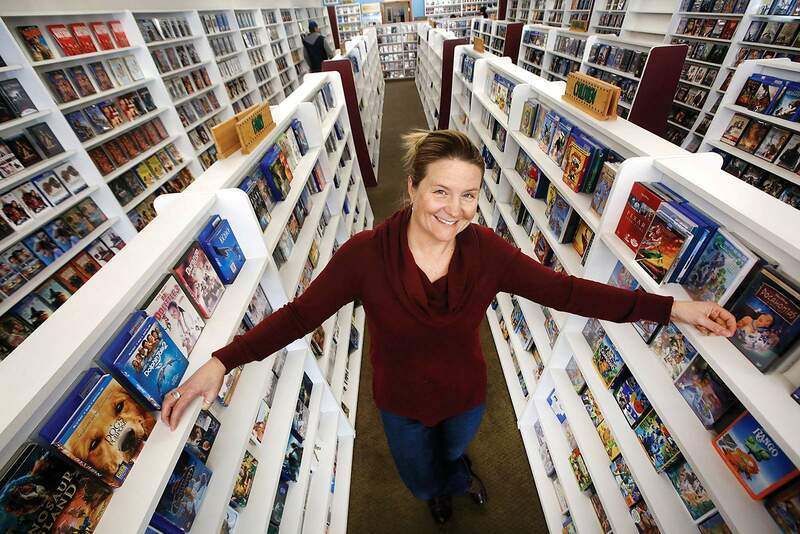 Still, she believes a video rental store, with some diversification, could thrive in Durango. Curlee suggests a hybrid store that combines the concept of secondhand music exchange such as Southwest Sound, which closed in May 2018, with the inventory of 4,500 titles (7,000 discs total) of Louisa’s Movie House would be profitable. “The one thing this business has going for it, is at this point, it’s vintage. It’s cool,” she said. Curlee is asking $30,000, the liquidation price of the store’s inventory, for the business. “Maybe a ‘unicorn’ buyer will show up in the next month,” she said. DVDs and Blu-ray formats, she said, offer better sound and video quality compared with streaming, and she said many areas of La Plata County still have inadequate broadband for streaming. Curlee and Bendell opened the store in 1999 after buying the old VHS inventory of Harl’s Movie Land in Grandview. DVDs and Blu-ray formats, Ericka Curlee says, offer better sound and video quality compared with streaming. She said with diversification, her video store, which will close in mid-March unless a “unicorn” buyer is found, could still be a viable business in Durango. The couple opened in a small store in the strip mall next to Walmart, and customers gradually asked Curlee and Bendell to sell VCR players. The requests gradually increased to other electric items – leading to the creation of a now separate business, Louisa’s Electronics, which specializes in security systems, home automation projects, audio and television systems, satellite systems and installation services. Later, the couple moved to a bigger space in the same strip mall. In 2016, the electronics business had expanded to the point it needed its own location and space, and the couple separated the businesses – building a new home for Louisa’s Electronics on Main Avenue and moving the Movie House to Town Plaza. 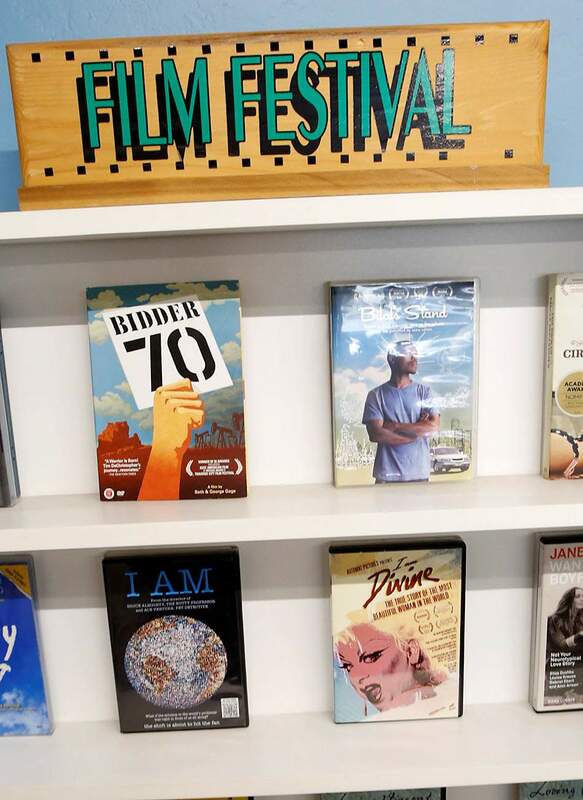 If no buyer is found for the Movie House, a liquidation sale will be held in mid-March, after the Durango Independent Film Festival, which will be from Feb. 27 to March 3. DIFF sublets office space in the back of the Movie House, and it will be looking for a new office as well after the Movie House closes. “It’s been fun,” Curlee said. “This job is like bartending without the alcohol. We have so many regular customers, and you get to know their lives and what’s happening with them,” she said.